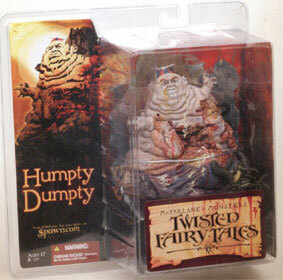 Description Of Item: Twisted Fairy Tales - Humpty Dumpty. Falling off the wall was shocking enough, but Humpty is in a real world of hurt now. A mere cracked shell would seem like a gift at this point.